This month James Evans, Health Inequalities Volunteer with VHS, met David Watson (Team Manager) from Neighbourhood Networks. Neighbourhood Networks is a Glasgow based charity working to reduce the health inequalities of vulnerable people by providing localised personal support. By having support based around the local community it brings members together as small networks, which leads to greater mutual support. Neighbourhood Networks is committed to involving its members in running the charity as much as possible. Neighbourhood Networks is in the process of training a sexual health adviser and also a benefit advisor. Their view is that although there is information available the challenge is bringing peoples’ attention to that information. As David Watson said “It is half the battle to find the information and the other half is finding ways to get that information out to our members”. Sexual health advisors will focus on helping keeping relationships both healthy and safe. The benefits advisor will support members with their welfare and benefit changes which have been introduced recently in the form of the ‘bedroom tax’ and soon the introduction of the ‘universal credits’ which have caused a great deal of stress to members. Introducing these advisors will aid their members to have a better understanding of the issues facing them and in turn reduce health inequalities. Within the charity there is a huge challenge to secure funding for activities relating specifically to health. Although local authorities fund the organisation to provide a core service this does not cover more informal but essential activities such as Health Fairs, etc. Despite this they have still managed to have a very positive impact through their events. 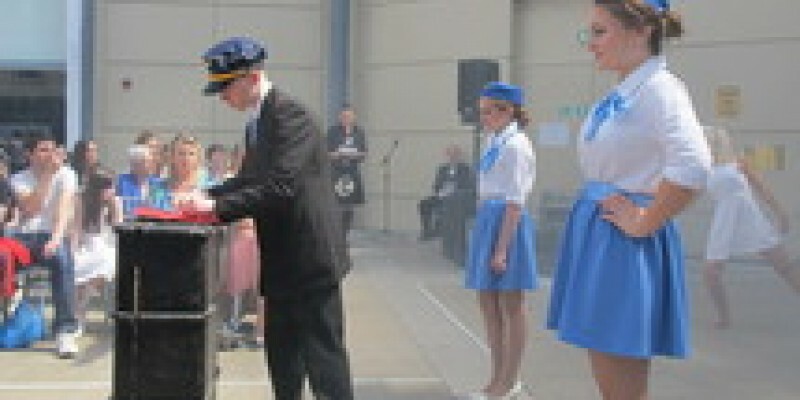 A good example was the recent fashion show “Angles & Aeroplanes” which was funded through a Big Lottery grant. The show was dedicated to Rosemary Boyle, a member who had passed away. All the different Networks were involved as well as many other local community based groups. The show was seen as a huge success with 350 people attending. It had a very positive impact upon the members, as their health and wellbeing was increased due to new found confidence levels, through participation, learning new skills, and the feeling of achievement. A video was created from the fashion show which can be viewed here. It is clear that Neighbourhood Networks have a very strong and inclusive understanding of health inequalities and have found positive and innovate ways of addressing them. Promoting self-confidence and other similar less tangible outcomes is challenging to fund but critical in improving the lives and wellbeing of vulnerable people. For more information on Neighbourhood Networks click here.